When you create content for your site, social platform or blog don’t forget to ask yourself “why am I doing this?”. The answer should be – lead generation for my business or enterprise. You can find plenty of advice all over the internet (including this blog) on the virtues of creating great content that will have perfect SEO potential, rank well, draw in volumes of traffic and engaged the readers attention. It is however the next stage that will deliver you some return for the time and resource you put into creating the content. That is creating a lead from what was previously an unknown and anonymous individual. A lead is a person who has in some way, shape, or form indicated interest in your company’s product or service. 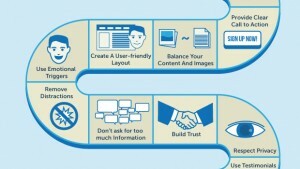 Great content will not generate leads on its own you need to ensure that you have some supporting components in place. 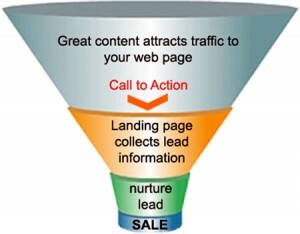 Alongside or within your content you need to place a clear call to action (CTA). Consider using buttons to make the CTA prominent and obvious, incentivise the action by making an offer (keep these relevant to visitor and your business). Free guides, tips, white papers etc all make good reasons for a visitor to complete a form and become a lead. 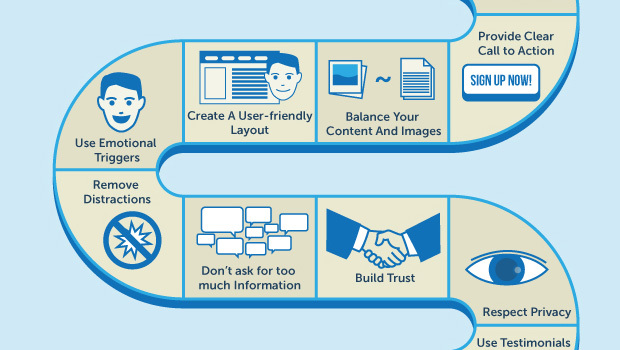 On the landing page itself keep it clear and uncluttered, remove any unnecessary navigation. Restate the benefits of what the visitor will receive or get access to once they have completed the form. 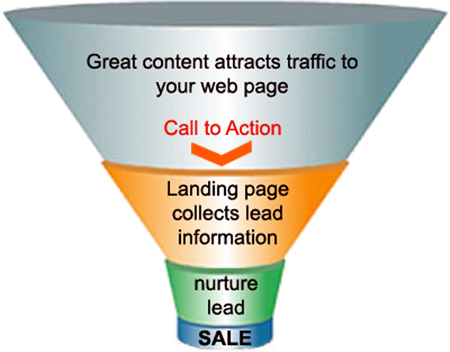 Once the visitor presses submit then your content has done its work and a real lead has been generated. The next task is to nurture that lead (maybe with follow up material, email or phone call) along your sales process.